Following a tricky opening day in Argentina, which saw the track lacking in grip, Day 2 proved to be a tough one too. Although the track stayed dry, the conditions were not optimal and it was difficult to find improvements in lap times, especially as the pack remained very close. In FP3 many riders pushed to try and ensure a place in Q2, and the early part of the session saw both Rins and Mir hovering within the Top 10. 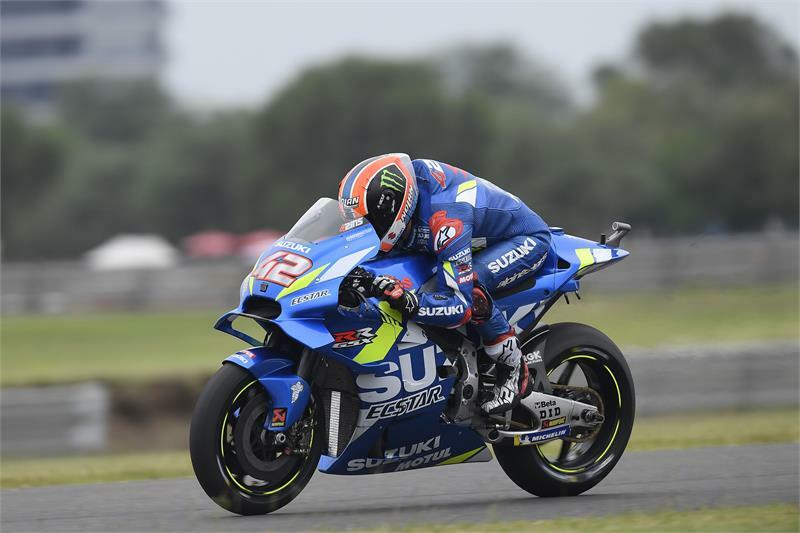 However, as the chequered flag flew the Team SUZUKI ECSTAR pair found themselves down in 15th and 17th – although, amazingly, the Top 15 were covered by less a second. FP4 showed signs of promise and Rins finished just six tenths of a second from the top, with Mir eight tenths off. But the Spanish duo found troubles in Q1, despite previously trying several different tyre combinations. A lack of feeling cost Rins and Mir on the time sheets, and they closed Saturday in 16th and 19th respectively.